Pilgrim’s Progress is one of my favorite spiritual writings to come from the Baptist and Puritan stream. The longer title of the original The Pilgrim’s Progress from This World to That Which Is to Come written by John Bunyan first appeared in 1678. It was written by Bunyan while locked in jail for violating the Conventicle Act, in which the state forbid anyone but officially licensed Anglican priests from holding religious services. I have been to that jail where Bunyan was, been to his grave in London, and visited the town where he lived as an early Baptist. It is a holy place for me. Pilgrim’s Progress is about an arduous, and highly symbolic, journey of a man called Christian who sets out from the security of his homeplace, the City of Destruction, to find the Celestial city to come. He heads out carrying a huge burden on his back, his sin, and is discouraged by others at every turn, but he perseveres. It’s incredibly hokey in one sense, an allegory that never lets you forget its allegorical-ness. Along the way, the characters have allegory names: Faithful, Talkative, Mr. By-ends, Hopeful, the Giant Despair, Temporary, Grim and Too-bold. They represent sins, human failings and strengths in people. And yet, the perceptiveness of the human soul, the psychological insights into inner struggle that Bunyan shows in it are powerful. It is still a resource I turn to now and then. I have felt so many of the struggles he identifies. 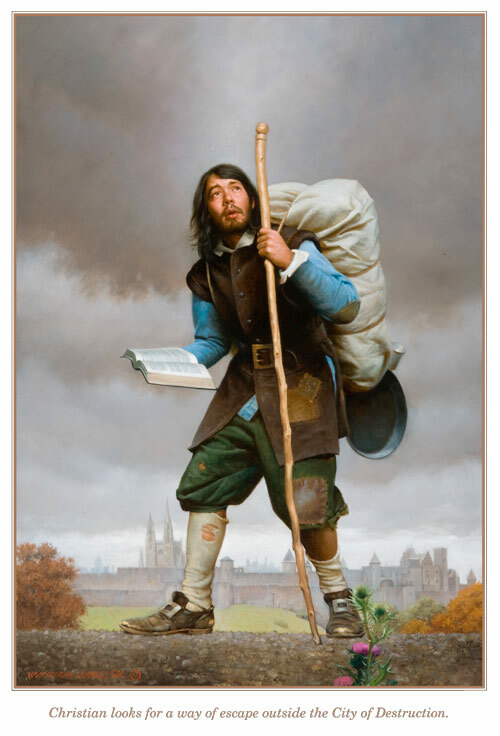 But something never felt quite right about calling my blog, “Pilgrim’s Progress.” First, it could be construed as a bit pretentious, as though I did what preachers always do in their sermons, make themselves the main character. I mean, am I really so sure that I am Christian, headed for the heavenly city against all odds? Why wouldn’t I just as well be Mr. Ready-to-Halt, or Heedless, or even Mr. Fearing? It’s like calling yourself, “The Deserving.” Humblebragging, as I wrote in an earlier piece. So, since I am a musician, consider that to be a central piece of “me” and think of my art as inseparable from me, I chose a qualifier and the moment I settled on it, it felt right. “Flatpicker.” That may not be a term you have heard if you’re not a guitar player. Flatpicking is a style, one of the two major ways players perform melodies on guitars, the other being “fingerstyle” or fingerpicking. Most classical players are the latter. Flatpickers have to do what finger players do with three or four alternating fingers with a guitar pick alternating back and forth at high speed. When you first start to learn it, it is hard as all get out. And there are different ways of doing it: Alternate picking, Crosspicking, Downpicking, Economy picking, Hybrid picking, Lead guitar, Sweep-picking and Tremolo picking. There are other styles—strumming and fingerstyle, with little worlds of their own. Flatpicking guitar is a world rooted in the proud chemistry of post-puberty male testosterone. It’s often about speed, being the fastest, not far removed from NASCAR and football. Flatpickers have their own magazine, their own heroes and a whole web of camps, festivals and venues. But the granddaddy of them all is the one in Kansas. It’s called the Walnut Valley Festival, but it’s known to Flatpickers as “Winfield”, as in, “He won Winfield.” My teacher, Glenn Tolbert, competed and made it pretty far, and he is FAST. Three different summers I went to a camp in Maryville, Tennessee, devoted to teaching instruments to disciples, but the centerpiece is guitar flatpicking. 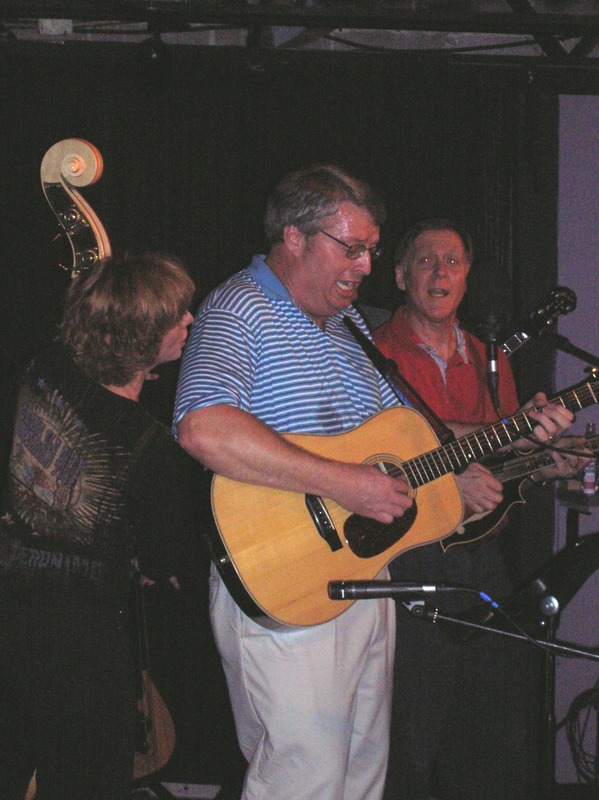 The Founder of the camp, Steve Kaufman, a native of Maryville, and his renown is being “the only three-time champion of Winfield.” He is a legend among guitar players. Other instruments compete, of course. A friend at camp told me of jamming with a 16 year old girl years ago who went on to win the fiddle competition. Her name was Krauss, I think, Allison I believe it was. Pretty good fiddler, he told me. So the acoustic world is a serious little world. Humbling, because the only way you get better is endless repetitions, learning from others who are better than you, and yet still having to find your own pecuiliar style and physical adjustment. Some people like Tommy Emmanuel, are so good at flatpicking that I imagine pride would be a great struggle. More of us, though, have to aspire to confident playing. You learn how to play with others and not play over them, how to bring out the song, do solos without always needing to attract so much attention to yourself. Flatpicking sometimes requires that you go backwards for a while before you progress. You learn a lot by imitation, hanging out with experts, and often, being willing to crash in front of people and laugh about it. One of the oddest phenomena I have experienced in this journey has been learning to disengage from the conscious mind. I know that sounds impossible to non-players, and I imagine it is not exactly that. Maybe it’s only “shifting to the right brain” or submerging to a more primitive kind of memory, but the way I can describe it is practicing and playing for so long that you can do it without looking at your fingers, thinking about the chords, and letting your muscles do what they know to do without much thinking about it. It is a kind of “self-forgetting” that makes for joy in playing. It lets you look at the other singers and players in a band and smile, read what they are doing, listen to their hints, and play off their cues. It makes the song a mysterious and joyous journey in communion. So, flatpicking seems like a perfect modifier to me for my blog, my life, and my religious journey, too. A friend of mine sent me a great quote one day: “I am still learning—Michaelangelo.” Me, too. Forget about what everybody thinks. Focus on the craft, learn the tunes, feel the rhythm, soar out on your own in a jam, learn from your mistakes, don’t do what you can’t do, and stay within the song. Follow the rules of jamming. Respect the other players. Hang in there. So I offer you a little instrumental I created, a little flatpicking piece. It’s just me with a guitar, playing something I came up with just doodling around one day. I call it, “Possibilitating.” Enjoy, and welcome to my retitled blog. Feels more like me. Posted on August 26, 2011, in Christianity, Music, Pilgrimage and tagged acoustic music, Alison Krauss, flatpicking, Gary Furr music, Guitar, John Bunyan, Music, pilgrimage, practicing, religious freedom, Steve Kaufman, Tommy Emmanuel, Walnut Valley Festival, Winfield. Bookmark the permalink. 2 Comments. Possibilitating — very cool. Many hours of practice. I know because I wasn’t willing to put in that time 😦 Hope you will include it in your next cd.